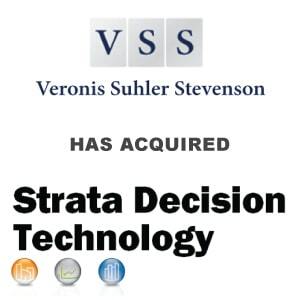 Berkery Noyes Represents Strata Decision Technology In Its Sale To Veronis Suhler Stevenson - Berkery, Noyes & Co., LLC. 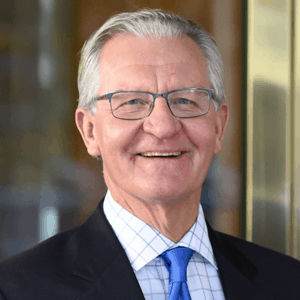 Berkery, Noyes & Co., LLC, a leading independent investment bank serving the software, information, and professional services markets, represented Strata Decision Technology in its sale to Veronis Suhler Stevenson. Terms of the transaction were not disclosed. Founded in 1996 by husband-and-wife team Dr. Catherine Kleinmuntz and Dr. Don Kleinmuntz, Strata Decision Technology develops, markets and implements web-based financial analytics and performance management software tools used primarily by U.S. hospitals and healthcare systems to enhance their financial planning, budgeting, and reporting processes. The company has provided services to more than 800 hospitals and thousands of hospital-affiliated healthcare provider organizations, including Allina Hospitals and Clinics, Catholic Healthcare West, Cleveland Clinic, Johns Hopkins Medicine, New York-Presbyterian Hospital, Providence Health and Services, Trinity Health, and Yale New Haven Health System. Chicago-based Strata Decision Technology’s products serve the needs of C-level and senior financial and operational decision-makers who use Strata Decision Technology tools to drive collaboration, facilitate the coordination of plans and strategies, and communicate with non-financial audiences. Their signature StrataJazz platform offers a fully integrated SaaS (Software as a Service) suite of corporate financial analytic solutions designed to help organizations improve their financial and operational performance. The company’s blend of products and services provide a comprehensive solution for planning and reporting, combined with outstanding implementation and support services to reduce the customer’s total cost of ownership. Strata Decision Technology was established with the idea that the right analytic tools can help healthcare providers create an environment for smarter decision making. Founded in 1996, Strata Decision software has been adopted by more than 800 hundred hospitals, including community hospitals, major academic medical centers, and some of the largest and most influential healthcare systems in the United States, along with many thousands of hospital system affiliated healthcare organizations.